Thanksgiving isn’t the same with turkey dinner! Add some homemade stuffing, mashed potatoes, corn, cranberry salad, and green beans. Then, you have a traditional Thanksgiving dinner! Enjoy these free turkey dinner clip art for scrapbooking layouts and scrapbook projects. They can be used to create turkey dinner place card settings or tags. Set one is in yellow which is the default on Canva for turkey dinner. I have also changed the color to a more traditional view of dinner, at least in our area of living. Using Canva, you can create color changes for this clip art two different ways. The white color seen above in these free clip art images can also be changed. In the near future, I will create a tutorial for how to use Canva quickly to create your own clip art. What Type of Thanksgiving Clip Art do you use? Leaves, wreaths, and other decors? Print, laminate, and hang in the window. Make a homemade baby mobile. 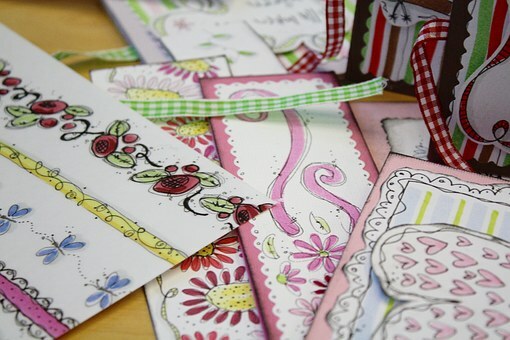 Add to handmade greeting cards. Use free clip art to add to digital scrapbook software. Create a Thanksgiving scene to decorate your front window for the holidays. Looking for Other Fall (Autumn) Clip Art? If you have comments or suggestions, feel free to leave them below. I would love to hear from you!